When my older girls where young, Nickelodean was their favorite channel, we have so many memories of their 90's shows and just sitting there day after day watching and laughing. My girls are all now in their 20's, and are past the Nickelodean age, but the second group of fans is coming along just fine. With Angel (10), Sam (7), and Lene (7), there is a whole new group of Nickelodean fans who keep the channel a constant in our homes. This year Sammy is so into the Nickelodeon Kids' Choice Awards that one Saturday morning I found her voting for her picks. Yes, Sammy is only 7 and yet she went on the site and voted for all the categories. I tell you, this is quite another group of young people that are growing up right now. By the time they are in their 20's, they will be masters of all technology. The Nickelodeon Kids' Choice Awards are this weekend and the kids can not contain their excitement, especially the ones that voted, they want to see how their vote affects the results. Today in preparation of the awards show we had a bit of a red carpet to try out the outfits that they will be wearing the day of. I told you these kids are totally different, I don't dress up to watch awards shows, but these kids are totally into the entire experience. We grabbed a box of Capri Sun Roarin' Waters and headed to out for our pre-awards mini-fashion show. Capri Sun Roarin' Waters is a low calorie (only 30 calories) way for the kids to hydrate* everyday and especially the day of the show, when we will have plenty of drinks on ice for them to enjoy with their friends. The kids love Capri Sun Roarin' Waters, with the clear bottom pouch. Angel asked if he could have his own box, lol. I love how affordable this drink is so we can stock up and never run out. 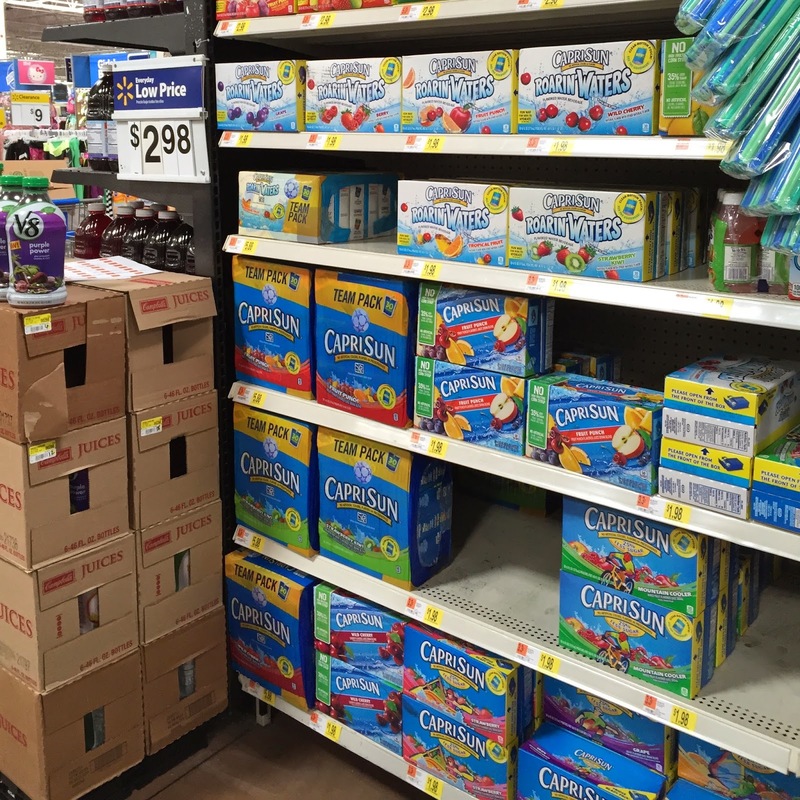 Right now you can find these specially packaged 3 packs of Capri Sun Roarin' Waters at Walmart. Look for the special Capri Sun Roarin' Waters Kids' Choice Awards display!! You will want to stock up and have plenty on hand on March 28th 8pm ET for the Nickelodeon Kids' Choice Awards. Have your kids planned what they are going to wear to watch the awards show? *Consume a variety of beverages every day.